The Berkshire Museum, in Pittsfield. Since July of last year, the bonds and traditions that have been the foundation of America’s art museums have been shaken by the decision of the Berkshire Museum in Pittsfield to auction off its 40 most valuable art works. Throughout the country’s history, museums have benefited from the generosity of donors who could be certain their gifts were safe in the hands of grateful museum directors. 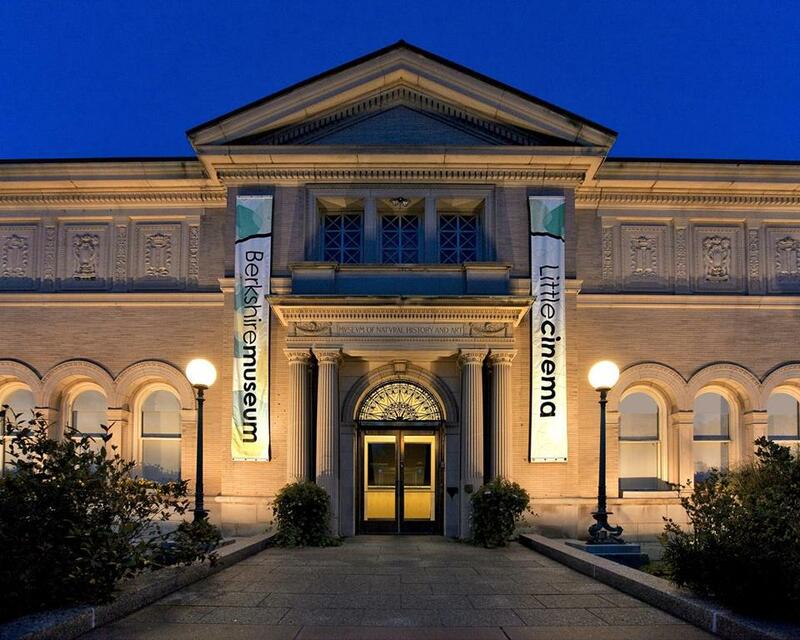 That trust has been shattered by the Berkshire Museum’s planned sale. The sale has been opposed by the American Alliance of Museums, the Association of Art Museum Directors, and the Massachusetts Cultural Council. The proposed deal has forced a severing of the relationship the museum has had with the Smithsonian Institution. If the sale is not stopped in the courts, museum directors and curators throughout the country recoil at the prospect that their boards will take the Pittsfield museum’s easy way to a balanced budget over the harder work of fund-raising and putting together attractive exhibits that bring in needed revenue. This week, the legal dispute over the sale will be under review by a single justice of the state’s Supreme Judicial Court. The issues raised are significant enough to warrant a hearing by the full court. 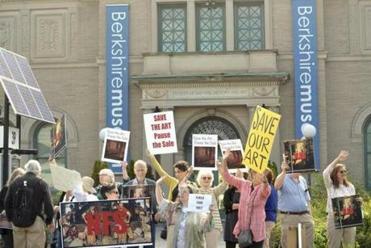 A grass-roots group, Save the Art, Save the Museum, quickly organized protests against the sale, and two groups of citizens in Berkshire County have sued to stop it. The office of the state attorney general, which has authority over the state’s nonprofit institutions, made a filing in January to the Massachusetts Appeals Court that was highly critical of the museum’s decision-making, providing evidence the institution’s finances could be solidified with new funds far short of the tens of millions the sale is expected to yield. Yet inexplicably, the attorney general agreed last month to a compromise in name only, allowing the museum to sell the planned 40 pieces with no restrictions up to an amount of $55 million, after which there would be limitations. The one stipulation was that the museum would sell one of the paintings, “Shuffleton’s Barbershop,” which Norman Rockwell painted and had personally donated to the museum, to an unnamed nonprofit US museum and that for a period of 18 to 24 months it would be exhibited at the Norman Rockwell Museum in Stockbridge. The painting, considered one of Rockwell’s best, would not end up in a billionaire’s den, or at least not until the unnamed museum decided it, too, had to “monetize” the painting. The compromise agreement reached between the AG and the Berkshire Museum isn’t perfect, but it will save the museum. The attorney general’s deal allows Berkshirites a chance to bid farewell to the Rockwell but not to works by Frederic Edwin Church, Albert Bierstadt, Henry Moore, and Alexander Calder, which are already in the hands of Sotheby’s. Both Rockwell and Calder spent parts of their lives in Berkshire County. The museum board wants to use the sale’s proceeds to buttress its endowment and fund what it calls a “New Vision” for the museum, focused more on history and science and less on art. Such an institution, museum officials have argued, could help county schools in bringing these subjects to life for their students. But in their attempt to sell a skeptical public on the merits of their vision, they have not been able to point to a single small-city, general-purpose museum like Pittsfield’s that has successfully navigated this kind of transformation. Granted, Berkshire County has other first-rate art museums, from the Rockwell in Stockbridge to the Clark in Williamstown and MassMoCA in North Adams. But none of these is a short walk from Pittsfield’s inner-city neighborhoods and none offers the Berkshire Museum’s sheer variety of art and sculpture to inspire young minds and hands. That inspiration can work in many ways, much as Hudson River school paintings by artists like Church and Bierstadt inspired wilderness conservation, and turned couch potatoes into hikers. No county in America, not even one richly endowed with art like Berkshire, needs less of it. The Supreme Judicial Court should take a close look at a deal that sets a precedent for allowing museums to violate the trust placed in them by the donors who have graced them with their works and by the public that has supported them with memberships and contributions. Donald A. MacGillis is a member of the Berkshire Museum and a coplaintiff in one of the local groups opposed to the sale.